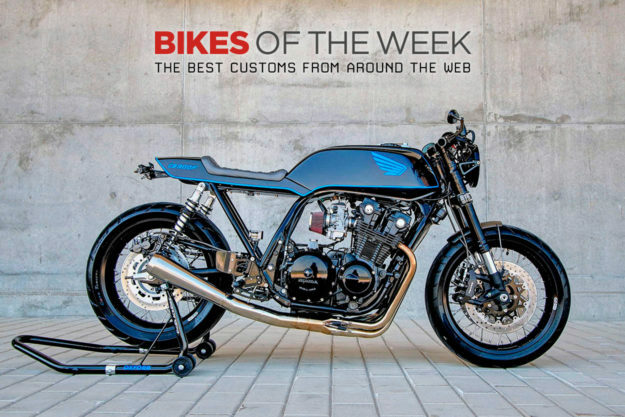 This week we’re serving up a sharp pair of matching Honda CB900s, an oddly intriguing CB550, a brawny Katana restomod, and an SR400 desert racer. And sadly, we’re also saying au revoir to one of our favorite custom builders. 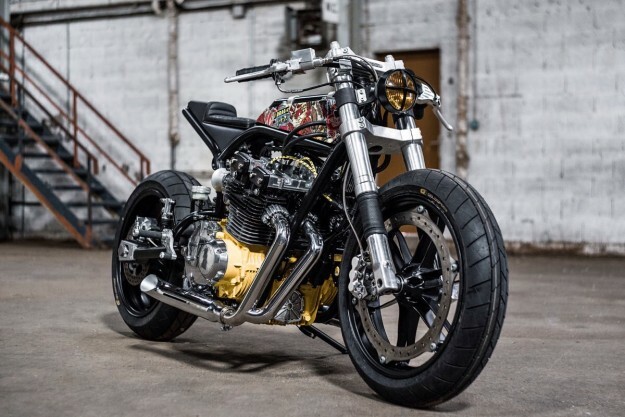 Honda CB550 by Kyril Dambuleff Mr. Dambuleff is a name you should have on your radar. 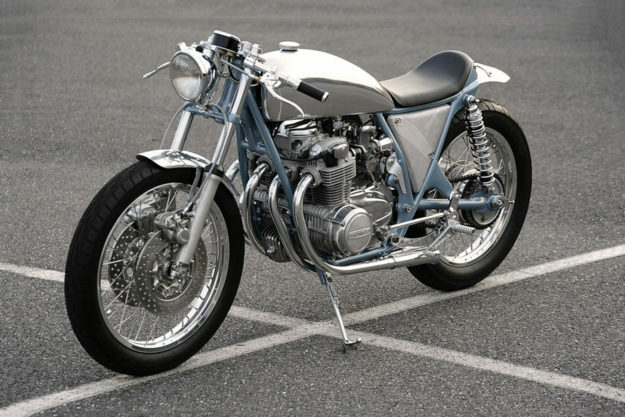 The man has a knack for making magic happen when a Honda CB lands on his bench. And his latest—’Bikini’—is a revelation. 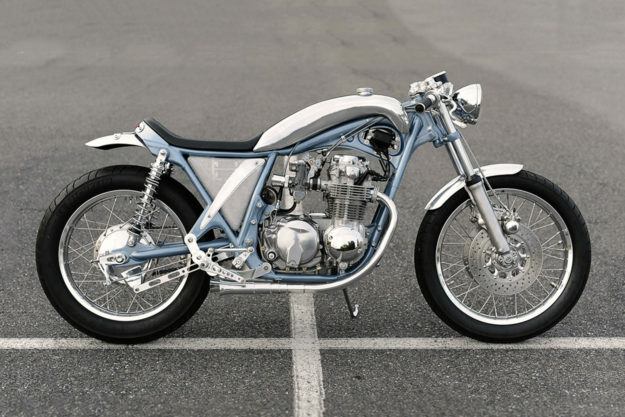 The drive behind this CB550 build was to showcase the inner workings of a motorcycle, and to focus on the engine. That’s why the tank is asymmetrically formed, exposing near everything on the right hand side. That engine has been over-bored, with a set of Wiseco pistons punching up its performance, but it’s also had its casings blasted to a better-than-factory finish. Cleanliness extends to the exhaust that, although it appears chromed, is actually a highly polished Cerakote affair. 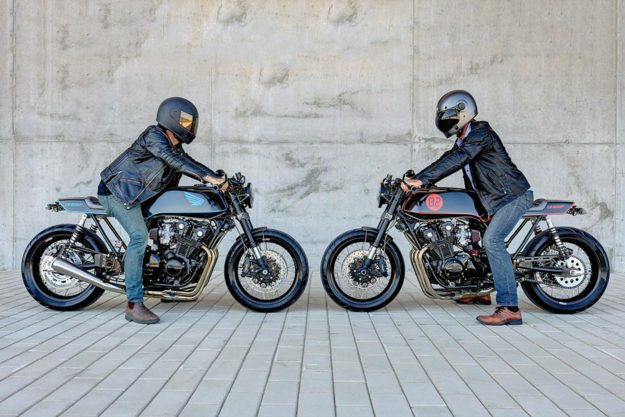 The frame—which is from a 1972 CB500—has been meticulously detabbed. With his sights set squarely on creating a Bol d’Or design, the first thing Sylvain tackled were the modifications to the CB subframes. The new lines they create are a spot-on match to the stock tanks, and they also gave Sylvain a spot to tuck away the electrics. But it’s the bodywork that stands out at first glance—especially those rear cowls. Working with Solidworks, a 3D model was created, then finessed, before carbon fiber was laid to match the shape. 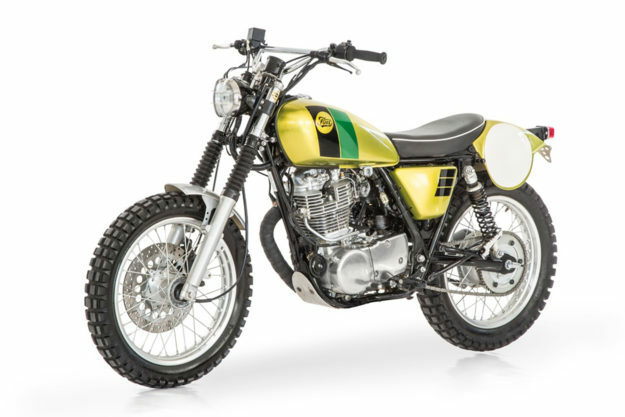 Yamaha SR400 by Fuel The more I read about Scram Africa, the more I’m tempted to give it shot. Of course, seeing the bikes built for the custom category doesn’t help this hankering. 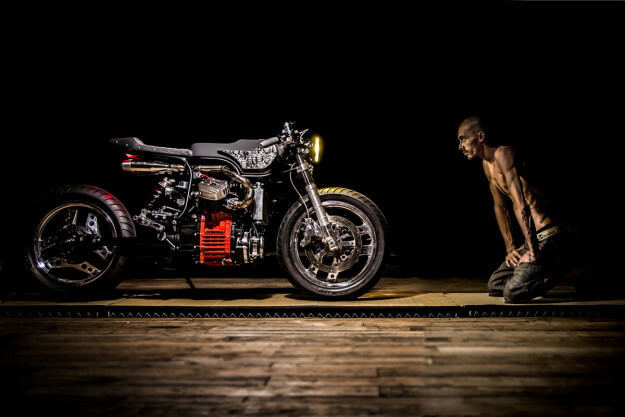 And few build them better than the minds behind Scram themselves—Fuel Motorcycles. 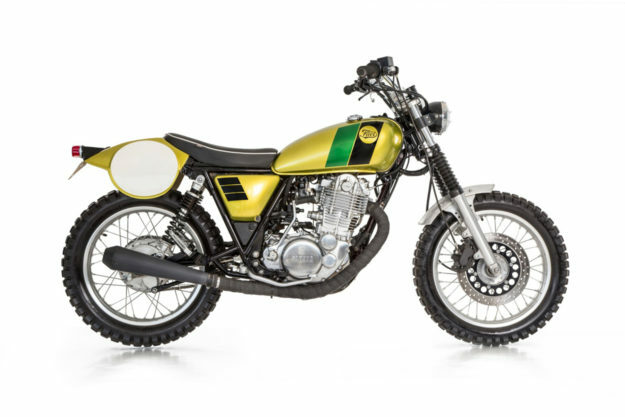 Working from a Yamaha SR400, the Barcelona-based team were tasked with prepping a scrambler for an Italian client competing in this year’s Scram. That meant it needed some off-road chops. The suspension was an obvious starting point, so the forks now have a reworked progressive set of springs with a set of YSS shocks bolted up out back. A set of meatier foot pegs were mounted to help with grip, and a wider set of bars to deliver more control. 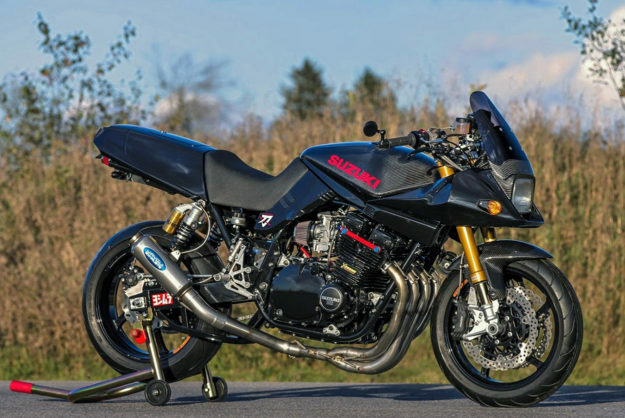 Suzuki Katana by Darren Begg When it was first released in 1980, the Suzuki Katana was claimed to be the fastest mass-production motorcycle in the world. Its 111 hp GS1100-derived motor gave it the hustle, and the radical Hans Muth design exuded speed, but it never claimed the crown. That’s because Darren Begg hadn’t got his hands on one yet. Now that he has, look out. 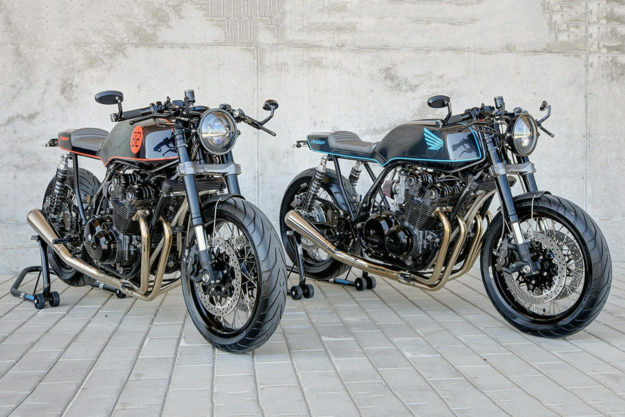 Darren is the man behind dB Customs—a resto-mod specialty shop based in Canada’s capital, Ottawa, and his carbon fiber-clad Katana could scorch the earth. 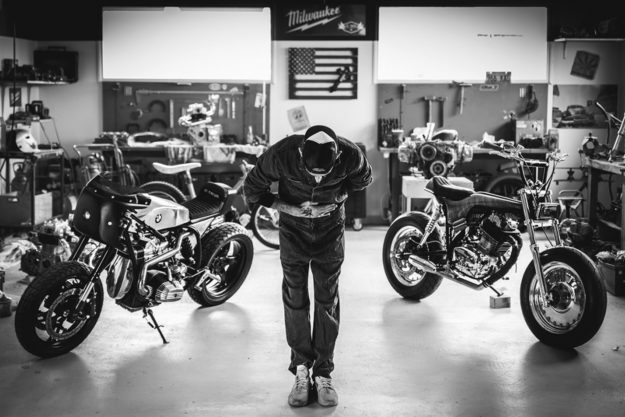 Au revoir Ed Turner It’s always inspiring to read of the men and women that throw off the shackles of nine-to-five life, and pursue their dreams in the garages and sheds of the world. But we’re rarely faced with the struggles these new realities create. After four years of impressing us with his incredible talent and dedication, Ed Turner—the mad genius whose Zook graced the cover of the Rebel Edition of The Ride: 2nd Gear—has decided to hang up his spanners. Ed speaks about his decision being tough, but cites time with family and a replenishing of resources as the main reasons behind it. As he says, “If you want to end up a millionaire in this job, you have to start a billionaire.” We are all going to miss being treated to new creations from the ‘Head Turner‘ around here, but wish him well in his new endeavors, and thank him for the artistry he shared with us. Merci beaucoup, monsieur, et bonne chance.